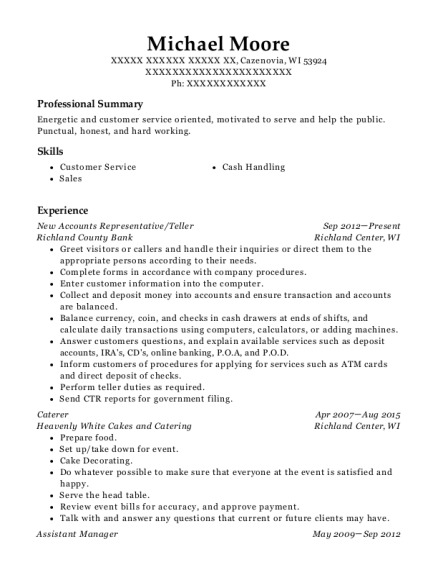 Service-oriented with four year background in Customer Service type of Environment. Core competencies include Adaptable, Efficient, and Attentive as well as excellent communication and time management skills. Handles tasks with accuracy and efficiency. Order a supply of cash to meet daily needs. 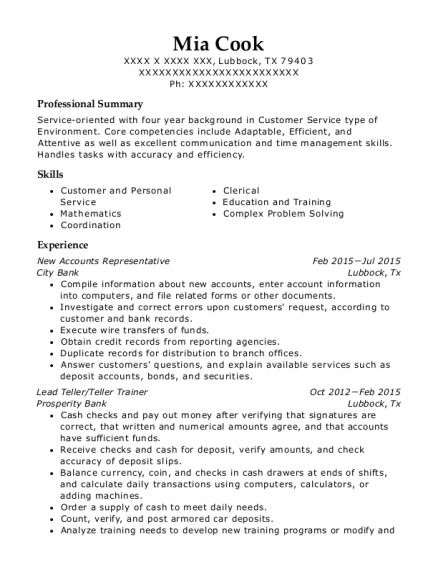 This is a resume for a New Accounts Representative in Lubbock, Texas with experience working for such companies as City Bank and Prosperity Bank. 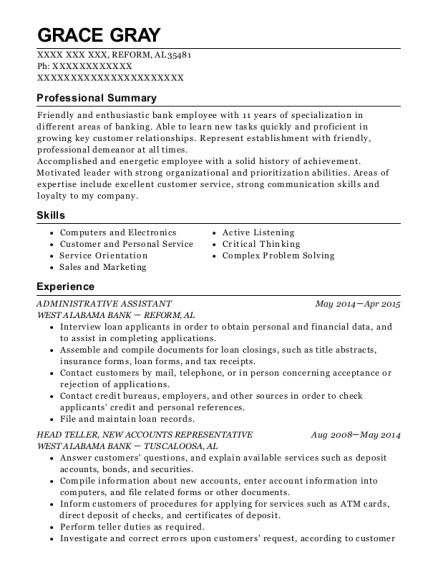 The grade for this resume is 0 and is one of hundreds of New Accounts Representative resumes available on our site for free. 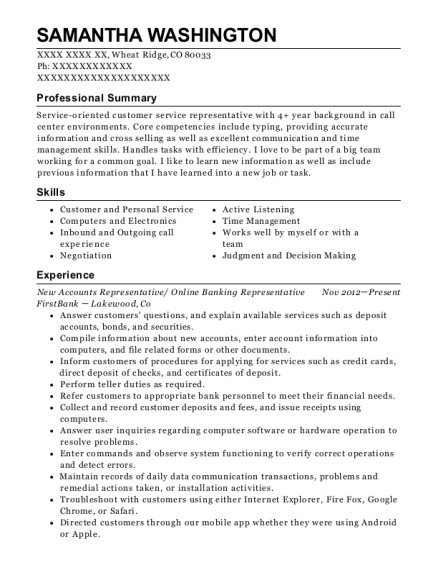 Use these resumes as templates to get help creating the best New Accounts Representative resume.